How are you today? Happy? In love? Inspired? Feeling empty? Brokenhearted? Stuffed? Excited? Lucky? Fantastic?Just wanna make your mood extra sweet today... 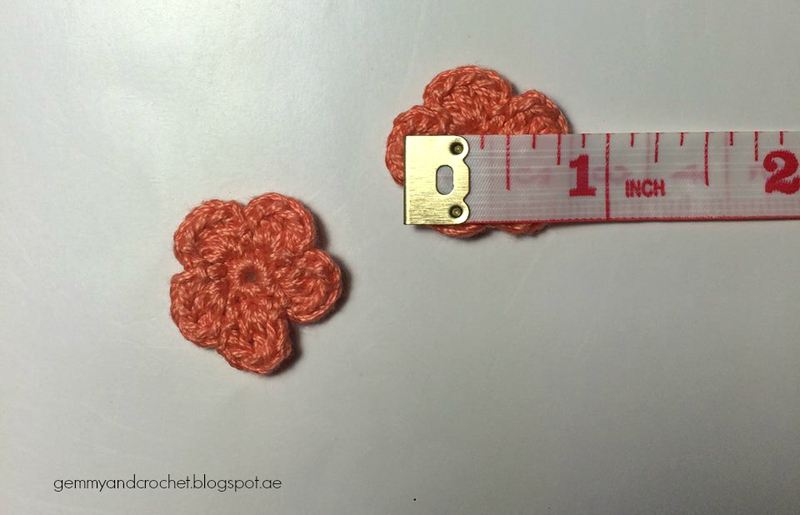 Sharing my cutie patootie flower crochet! So I'm back for another flower party. I know this is usual and basic but I still wanna share it. Look at those cutie flowers, it really melt my heart. Isn't lovely? I wanna stare at them all throughout the day, literally. Haha. I love them, I love what I'm doing. I love crochet so much. The flower size is about an inch, had a five petals and a small hole in the middle. I used a thread yarn and 1.5 mm steel hook. Actually you can use your excess yarns to prevent wasting or throwing it. 1. 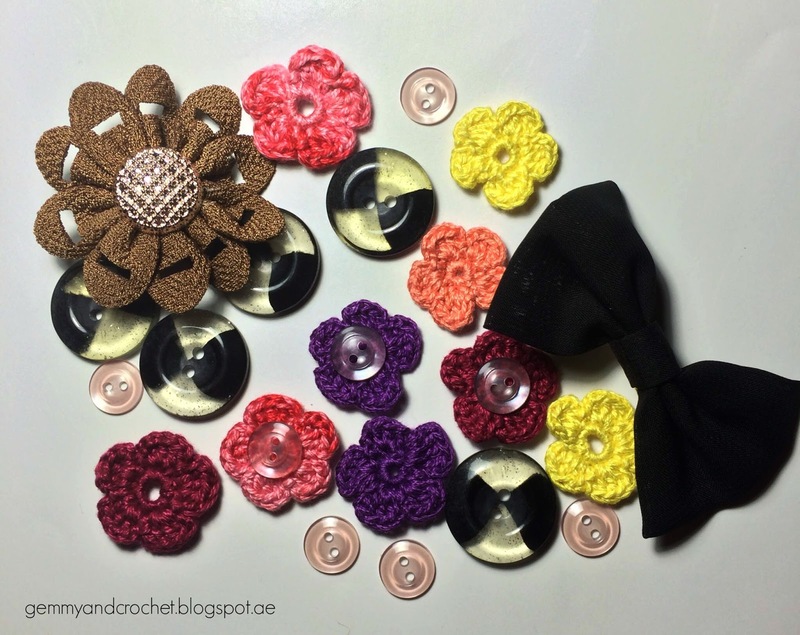 Make the circle of the flower by making a magic ring. Chain 1. 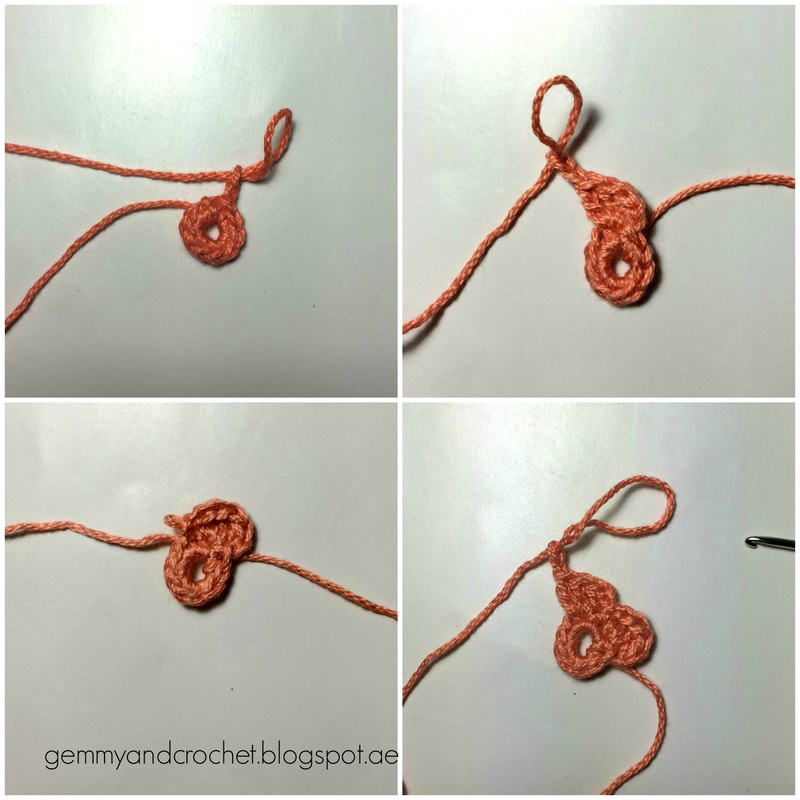 9 single crochet in the ring. 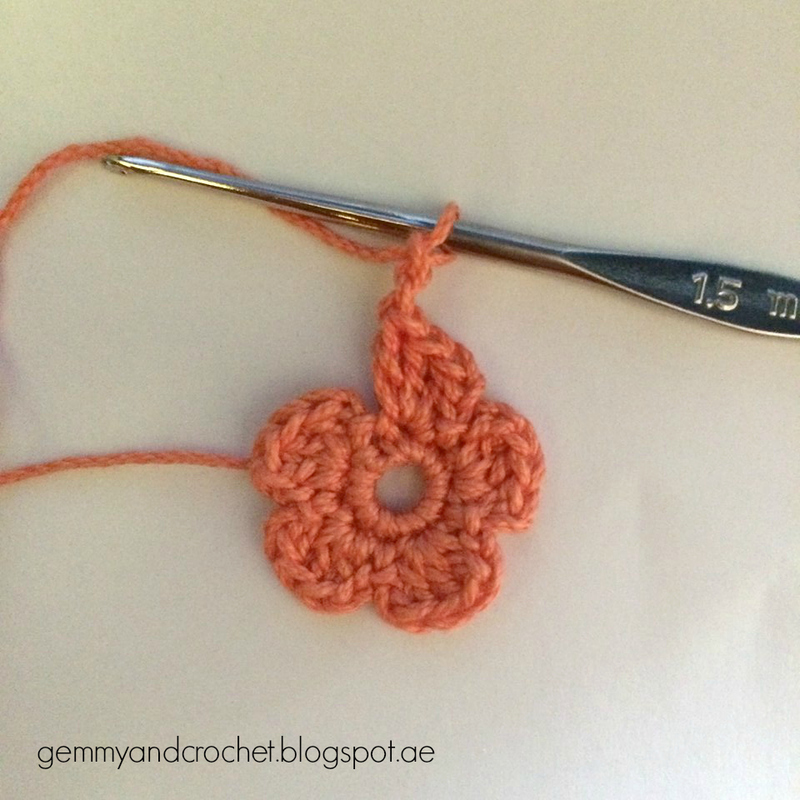 And slip stitch to the chain 1 to join the circle. 2. *Chain 2. 3 double crochet in the next stitch. Chain 2. Slip stitch in the next stitch*. Repeat * to complete the 5 petals. 3. Finish it by slip stitch. 4. 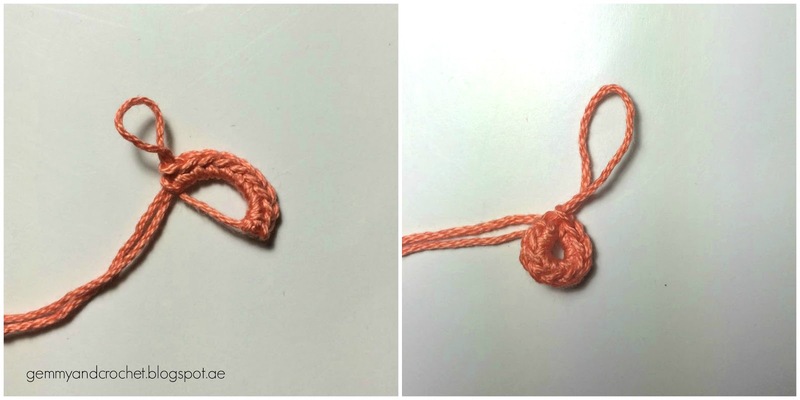 Pull the excess yarn from the magic ring to tighten the hole and cut it. 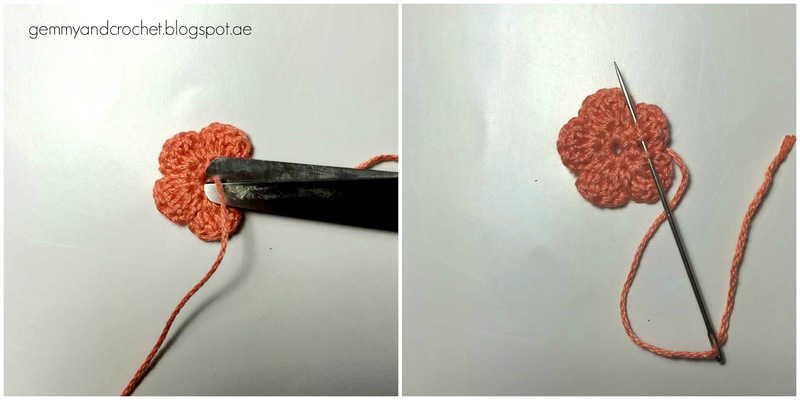 On the other part, sew the excess yarn into back part of the flower.